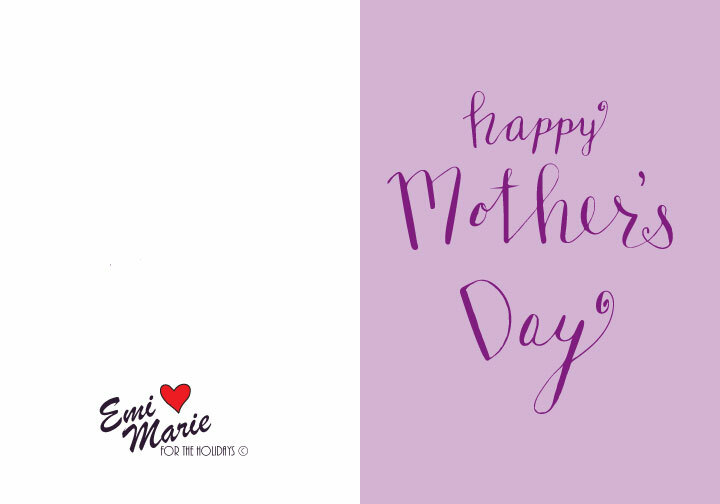 Today we are sharing a free printable card for all of you who still need something for you mom this Sunday. I recently took a fantastic calligraphy class at http://www.istilllovecalligraphy.com. I loved it so much I decided to make a card featuring my new skill of calligraphy for my mother and thought I would share a version of it with the rest of you. « May Monthly Mood Board – Let’s Celebrate!